San Diego, CA (October 24, 2014) – Today, the San Diego Concierge Association honors International Concierge “Day of Service”. 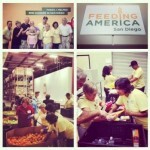 SDCA Concierge members and Affiliates volunteered for “Feeding America San Diego” by sorting 1300 lbs. of food to be distributed to underprivileged children, families, and senior citizens. San Diego Concierge Association has also volunteered 70 hours of service this year and raised over $3600.00 for local charities. Those charities include P.A.T.H. 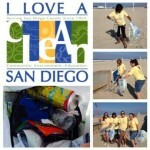 Connections Housing for the Homeless San Diego Chapter, AIDS Walk San Diego, and I Love A Clean San Diego. Get to know all of our Concierge members by “liking” us on Facebook (San Diego Concierge Association), Twitter (sdcaonline), and Instagram (sdcaonline). About San Diego Concierge Association (SDCA) — The San Diego Concierge Association is a non-profit association of professional hotel and resort Concierge committed to guide and enhance the careers of its members through networking, etc., while supporting the local community. The SDCA was established in 1985 and includes sixty five concierge members representing over thirty of San Diego’s finest hotels and resorts. We are partnered with over fifty affiliate vendors that provide our valued guests and San Diego visitors the best San Diego has to offer. This electronic message transmission contains information from the Company that may be proprietary, confidential and/or privileged. The information is intended only for the use of the individual(s) or entity named above. If you are not the intended recipient, be aware that any disclosure, copying or distribution or use of the contents of this information is prohibited. If you have received this electronic transmission in error, please notify the sender immediately by replying to the address listed in the “From:” field.